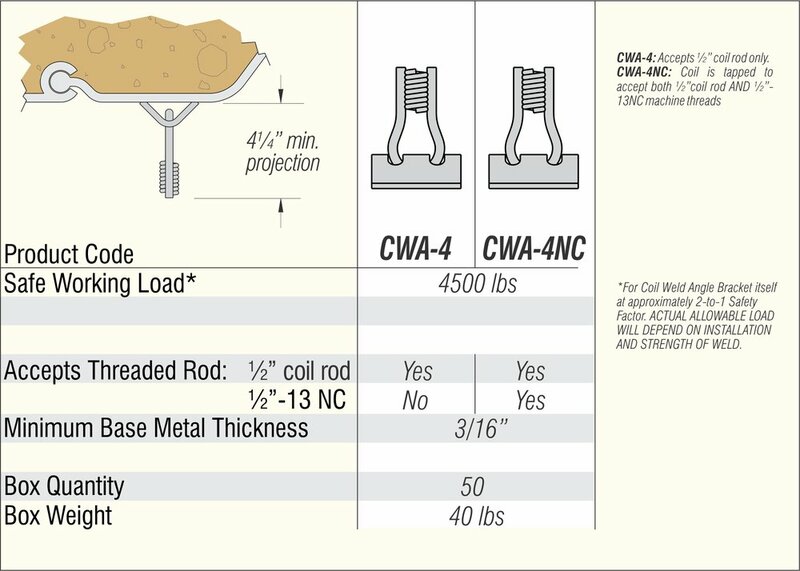 Steel Dog® Coil Weld Angle Brackets™ are a low-cost way to tie formwork to steel structures where manual (stick, MIG) welding is to be used (for stud welding, try the Steel Dog® Coil-Stud™). Typical application: one-sided forming against soldier piles or sheet piling. Standard 3/4” arc weld stud. Swivel loop coil tie end to accommodate misalignment between stud placement and formwork tie location. Eliminates expensive external bracing or welding. Bracket: HSLA Grade 50 steel. Swivel loop wire is AISI C1035. 4500 Lbs. (2-to-1 safety factor) when welded as directed below. 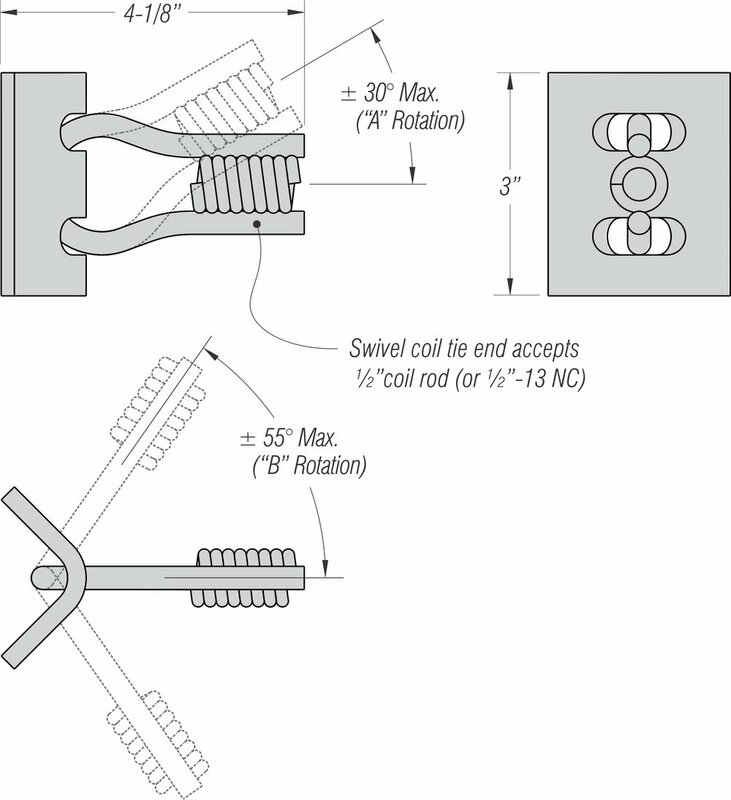 When properly welded, this load may be applied to the coil loop at any permissible orientation (±30° in “A” rotation, and ±55° in “B” rotation, or any combination of the two). Coil Weld Angle Brackets should be welded by a certified welder using industry standard AWS practices. The use of low hydrogen welding wire or rod is recommended. Bracket should be welded with a continuous fillet where both 3” wide legs contact base metal. Fillets should extend around the ends of each leg.